The entire dataset for Professional Services Contracts by fiscal quarter are available for download in a Microsoft Excel® compatible CSV format below. The City of Philadelphia, through a joint effort among the Finance Department, Chief Integrity Officer and the Office of Innovation and Technology (OIT), launched an online, open data website for City contracts. 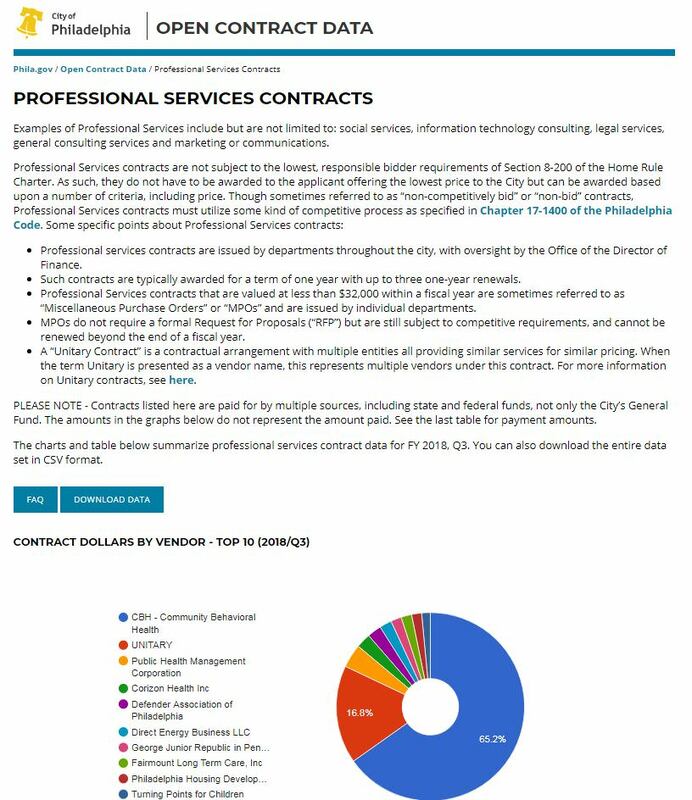 The site provides data on the City’s professional services contracts in a searchable format and includes a breakdown of contract dollars by vendor, department and service type. It also features a “frequently asked questions” section to help users understand the available data: http://cityofphiladelphia.github.io/contracts/. An app to view professional services contracts.